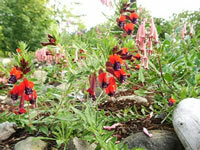 There are over 250 species of Cupheas, which include annuals, short lived perennials and small shrubs. Most are native to Central and South America. Cupheas bloom from spring through fall, and are excellent plants for attracting Hummingbirds to your garden, as well as stunning additions to your Butterfly Garden. Perennial Cupheas are frost tender plants and only hardy in USDA zones 10-12. With heavy mulching, they may survive the winters in zones 8 and 9, but will die back to the roots. In all other zones these fast growing plants are grown as annuals or in planters so they can be brought indoors in the fall and treated as house plants in a bright, 60°-65° spot until they can be safely returned to the garden after the last frost in spring. Cupheas are somewhat difficult to maintain as year-round house plants unless you can provide them with 4 or more hours of direct sun every day. during heat of the afternoon. 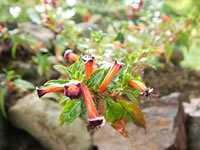 Plant your Cuphea in light, compost rich, well-drained soil. Water regularly and thoroughly until they are well established, then watering can be reduced somewhat. 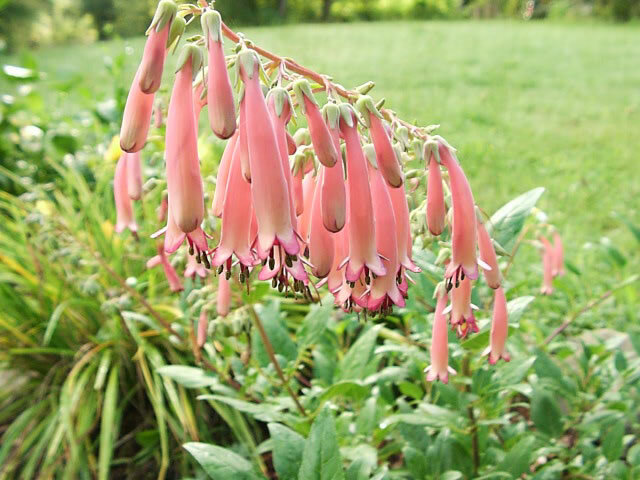 Established plants can tolerate occasional periods of drought, but they grow best in evenly moist soil. Pinch back the tip of each stem when they reach 8"-10" tall to induce bushiness and create a more compact shape. or feed them once in the spring with a slow release granular plant food. taken in late spring or early summer. Cuphea seeds require light for germination. They should only be pressed lightly onto the surface of the soil. 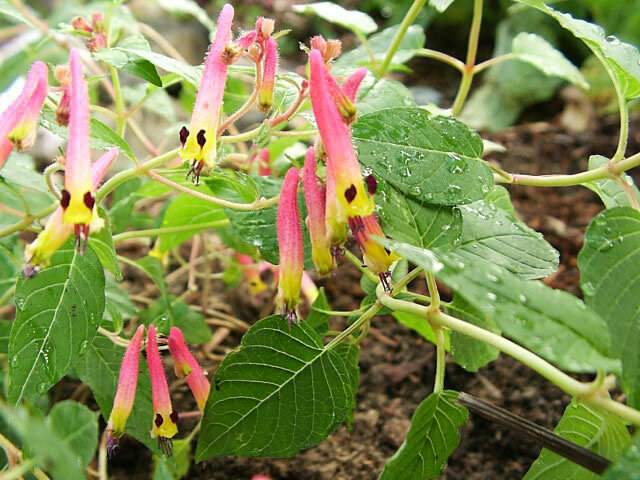 Seeds can be sown directly in the garden after the soil has warmed in the spring, but for the best results start Cuphea seeds indoors 10-12 weeks before the last killing frost in your area. which takes 8-10 days. After the seedlings emerge, they will tolerate temperatures as low as 60°. The Cigarette Flower plant, Cuphea ignea gets its common name from its tubular flowers that have white tips with a touch of black suggesting the ash at the tip of a cigarette. 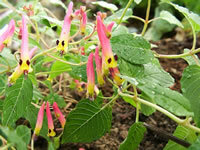 They are also sometimes called Firecracker Plants. They have small, lance shaped, glossy green leaves that form tight mounds, growing 18"-30" tall and wide. 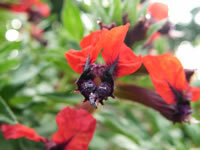 They produce tubular, petal-less, bright orange-red, ¾"-1¼" flowers. Other hybrid colors are available. The Cigar Plant or Black Eyed Cuphea as it is also known, form two foot tall mounds of lance-shaped, bright green leaves with brittle stems. They produce foot long sprays of tubular, orangish-red to pink, 1"-1½" flowers with two tiny black petals over the upper flower's lip. 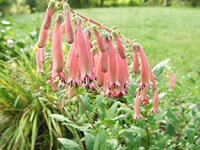 The blooms are self-cleaning and do not require deadheading.